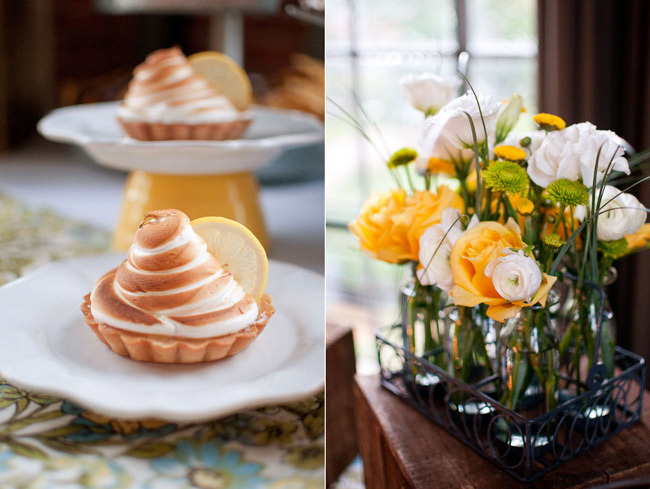 Another day, another gorgeous Inspired Creations Contest entry! 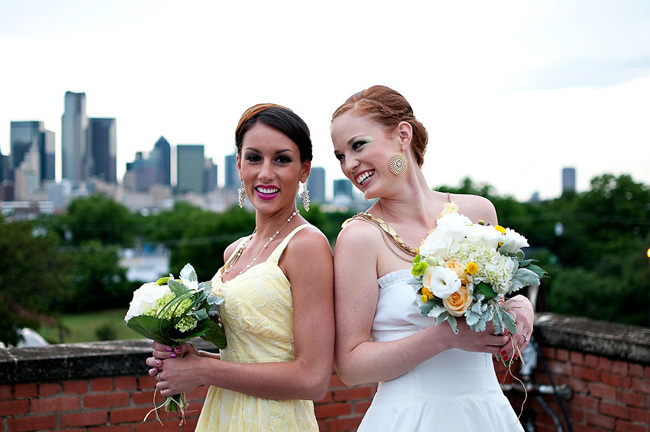 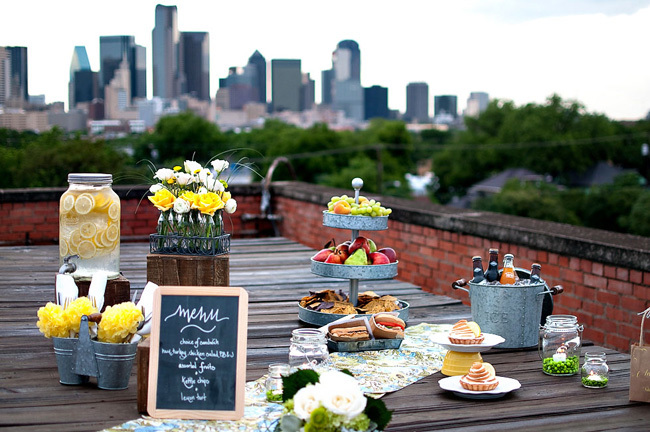 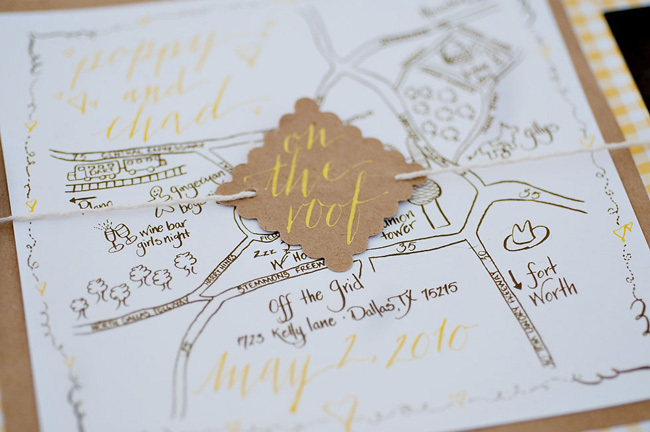 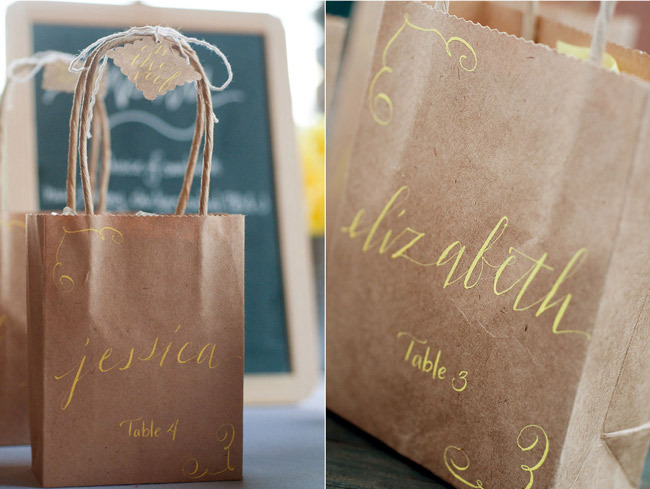 Today’s design is from the talented team of Catie Ronquillo Photography, After Yes Weddings, The Left-Handed Calligrapher and Emily Hudspeth, and features a gorgeous urban rooftop picnic at Off The Grid, boasting tremendous views of the Dallas skyline. 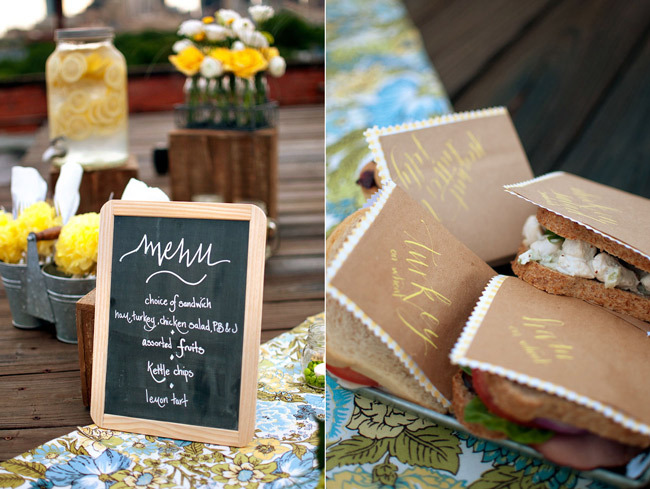 For me, this shoot is all about the mix of colors and materials pairing a cool urban vibe with the laid back approach of a fun rustic picnic. 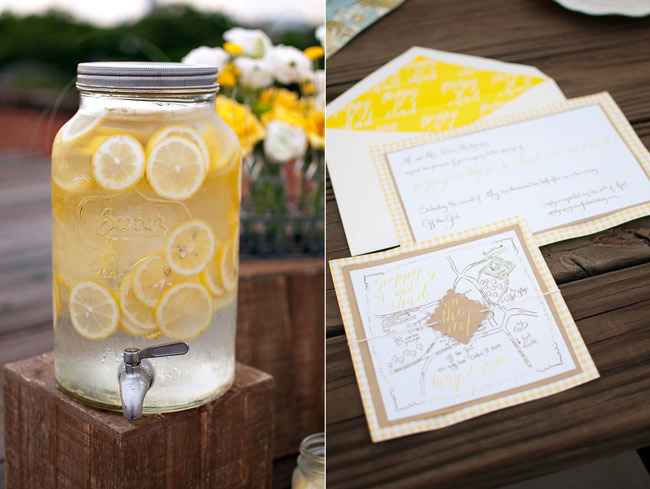 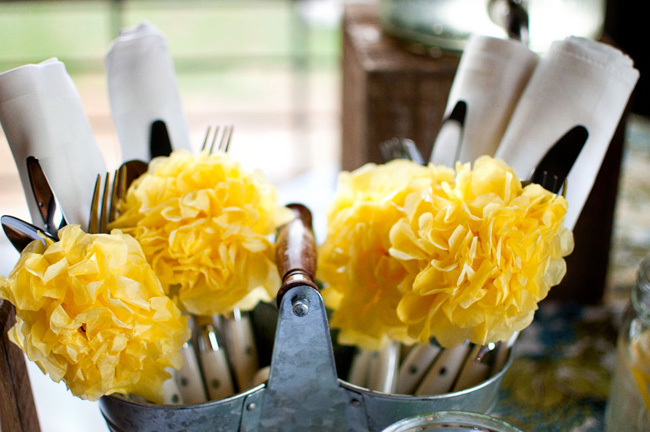 The mixed and matched glass and galvanized tin containers paired with bright yellow gingham, kraft paper and bright summery flowers set the perfect tone for a really vibrant and chic celebration. 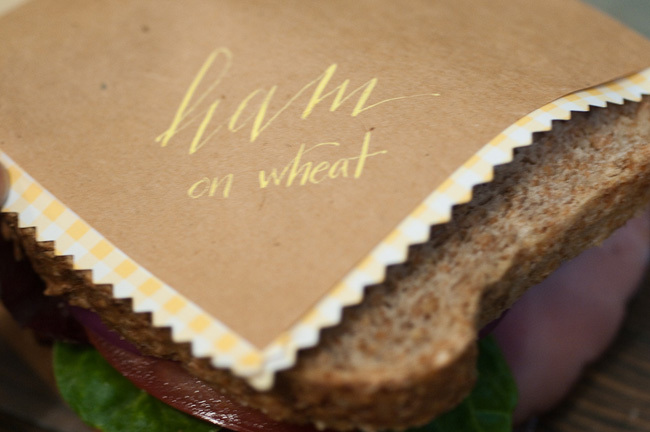 For many more photos and details of this amazing inspiration shoot, pop over to Elizabeth Anne Designs and a huge thank you to this incredible team for inspiring me to run off and plan an amazing picnic party!